Look what I found in Aisle Six! All Can Play at the Darker Arts! 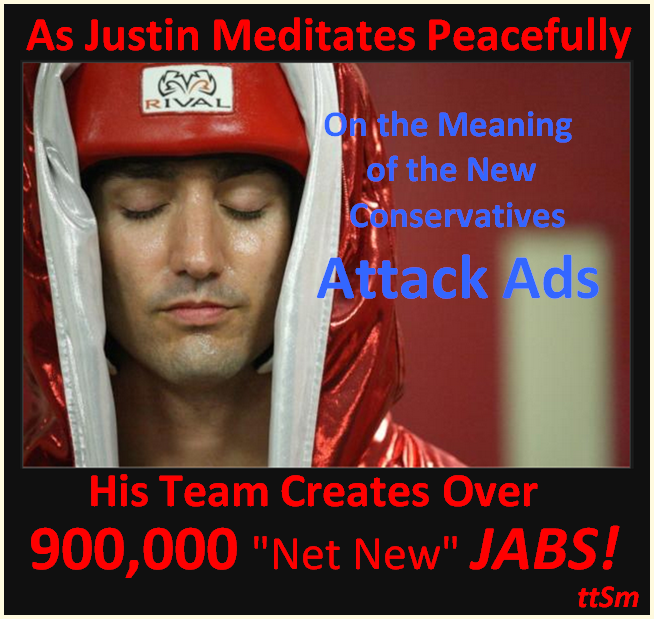 This dark CPC attack ad seems to have disappeared? I'll repost it when I find a copy. Contypically Comments are disabled for this video. But that didn't STOP Michelle Rempel Con MP from making a fool of herself. in response to this campaign of lies and wrongly attributed quotes and statements place purposely placed out of context. I seem to be having a hard time to get information on her statement though. Send it along if if you have it and I'll add it! A Progressive friend of mine received this email! It was totally unsolicited and equally unwelcome! 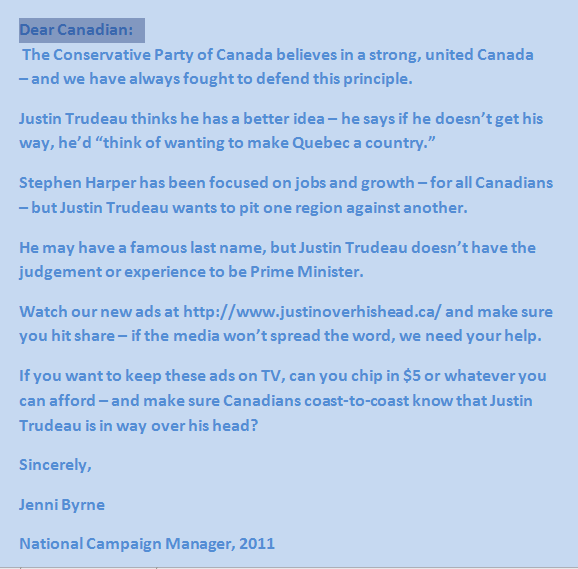 The Plot Thickens: Jenni Byrne was the CPC National Campaign Manager in 2011. Funny she did say that, isn't it? In all probability there are a lot of questions about Election Fraud and Robocalls that Jenni will be asked to answer, the very moment the Harper Government is no longer in Power. She writes this only to help save her Neo Con Skin. while trying to be Polite to Harper. 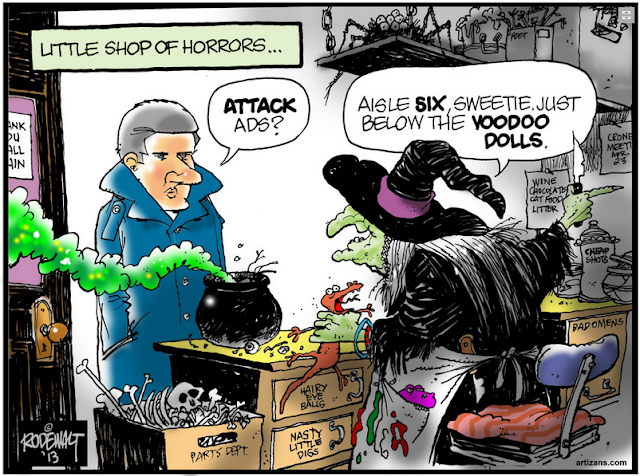 Power and Propaganda ~ Trudeau and Harper Seen Clearly! Another excellent episode Kim. Bravo! Will you be commenting on Trudeau's cheer leading of Alison Redford and XL??? ?